MARK YOUR CALENDARS! 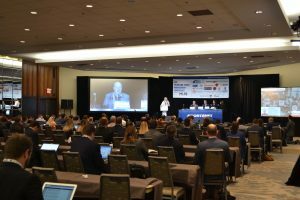 The 12th Annual PrimeTime Sports Management Conference & Trade Show will return to Toronto from November 17-19, 2019. Save the date, and stay tuned for more details! Click here to REGISTER at the Early Bird Rate! We’re pleased to announce that the full video from the 11th Annual PrimeTime Sports Management Conference & Trade Show is now available! Relive the Conference events which took place from November 11-13, 2018 at the Westin Harbour Castle Hotel in Toronto. ❄️ BEAT THE WINTER BLUES DEAL: Not only will you have access to the 2018 PrimeTime Sports Management Conference Video, you’ll also receive access to all content from 2017, 2016, 2015, 2014, 2013, 2012 and 2011 ABSOLUTELY FREE! That’s over 130 hours of footage!